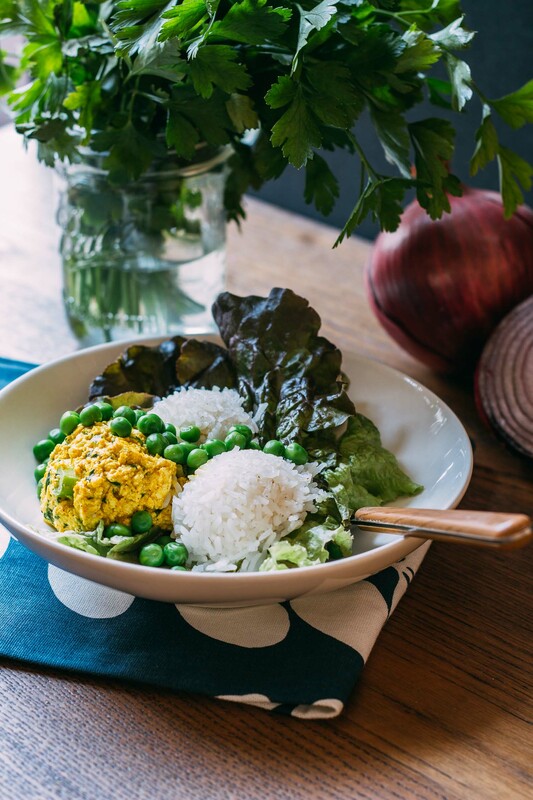 No-Cook Tofu Curry in a Hurry Salad is this gal’s dream come true! It’s super nutritious, packed with body-building protein and budget-friendly, too! And it’s a little spicey, just the right amount, and ever so wonderfully savory. After all, it’s a CURRY, and best of all, it’s ready to eat in a hurry! Allow me to tell you a little curry story. But as much as she wanted a break from cooking, she also didn’t feel like running out to grab nutritionless takeout. So, since she wanted it all, to have her proverbial cake and eat it too, yadda yadda ya, she decided to create something fast and flavor-filled. So that is just what she did! From that day forward, whenever the pesky I don’t want to cook bug bit, No-Cook Tofu Curry in a Hurry Salad gallantly came to her rescue. And they all lived happily ever after. The End. Have you ever felt like this? You want something tasty, like really, really good, but your energy has already clocked out for the day! So what can you do to enjoy a simple pallet pleasing dinner? I’ll tell you what to do; you whip up a bowl of No-Cook Tofu Curry in a Hurry Salad! While No-Cook Tofu Curry in a Hurry Salad may not have a themed attraction at The Magic Kingdom, it sure can calm a menu planning weary mind! If you’re the primary meal provider at your house, you know what I’m talking about! This salad handles that late in the afternoon menu panic. I am referring to that familiar question of what’s for dinner stomping through your already tired head. No-Cook Tofu Curry in a Hurry Salad should at least wear a cape and have a theme song. Seriously, that’s how much I love this stuff! As I have already mentioned, this is a little spicey, but not in a hot peppery way. No-Cook Tofu Curry in a Hurry Salad is delightfully mellow, yet warm and savory. Crunchy vegetables and a sprinkling of herbs add incredible freshness to this dish! All of the flavors combined are so tasty that it’s hard to resist going in for seconds and third helpings! I thoroughly enjoyed writing the recipe for my No-Cook Tofu Curry in a Hurry Salad, and I’m happy to share that the entire experience does feel like a bit of a fairytale to me! I’m so confident that you’re going to enjoy making Curry in a Hurry that I suggest that you pin this recipe right now to save it and share with your closest friends! Oh, and when you make it, make a pot of Creamy Savory Cardamom Rice to round out your meal… but be careful… this rice has the power to make you fall in love with it and throw all other rice dishes aside. Finally, after you’ve tried this recipe, leave us a kind comment and tell about your experience. We’d love to hear how it goes! 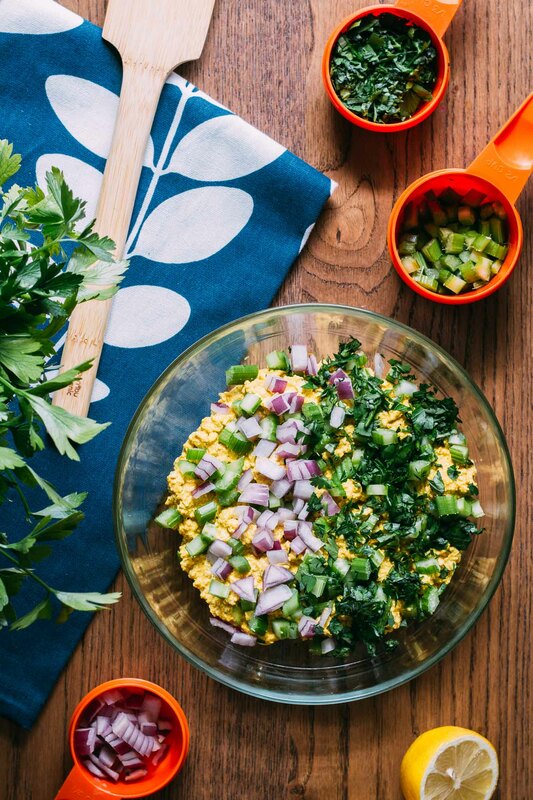 No-Cook Tofu Curry in a Hurry Salad will be your dream dinner go-to! 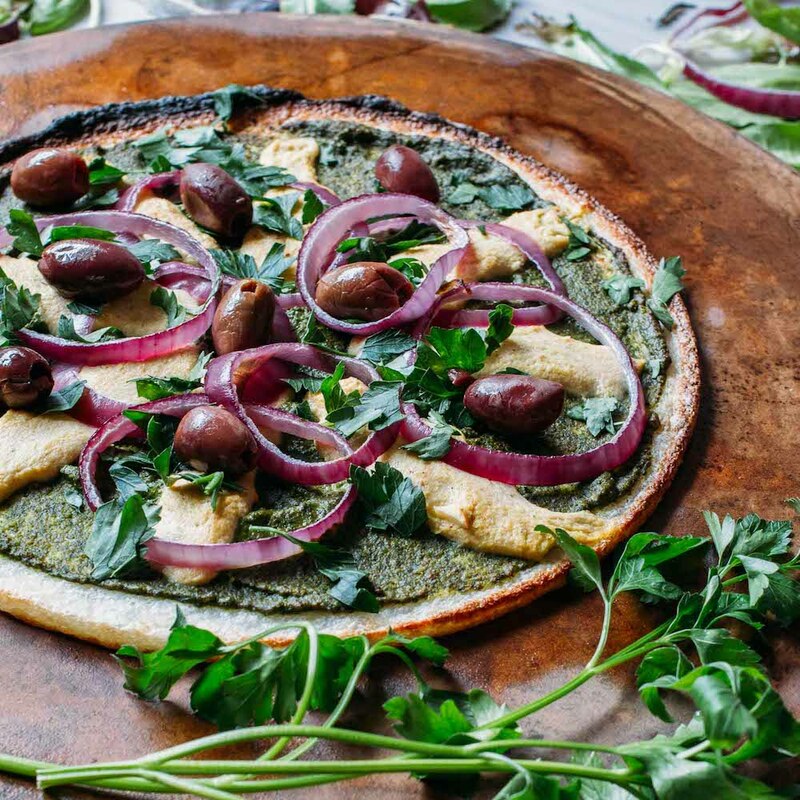 It’s nutritious, packed with energizing protein and budget-friendly. And it’s just a little spicey, and wonderfully savory, too. It’s a CURRY, and it’s ready to enjoy in a hurry! 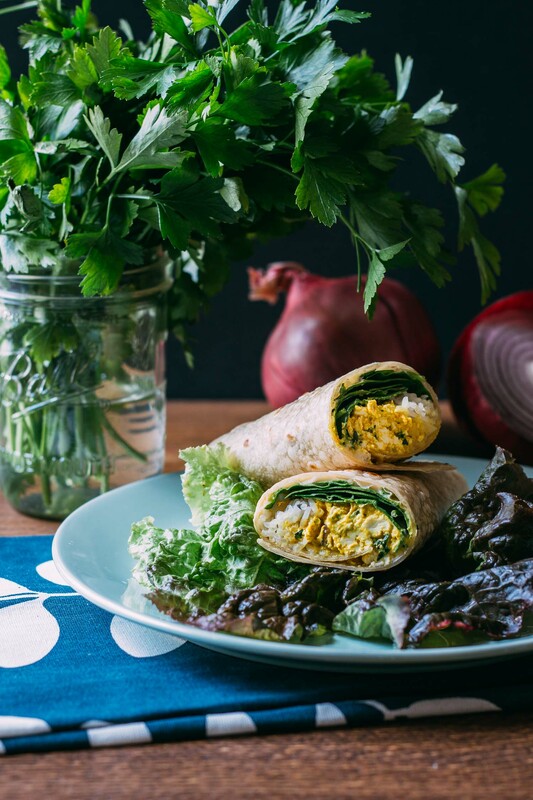 I like to serve this with a bowl of cardamom rice and green peas or roll it into a wrap for a hearty sandwich treat! Press the tofu ahead of time to get this on the table super quick! The nutritional info is based on four generous servings, but this could efficiently feed six. And if you’d like to bring the fat and calorie count down, make this using my recipe for Raw Oil-Free Cashew Mayonnaise! one 14 oz of extra firm organic tofu, pressed to rid of excess water - My kids bought me this one and I love it! 1/2 cup vegan mayo - Just Mayo brand is delicious! 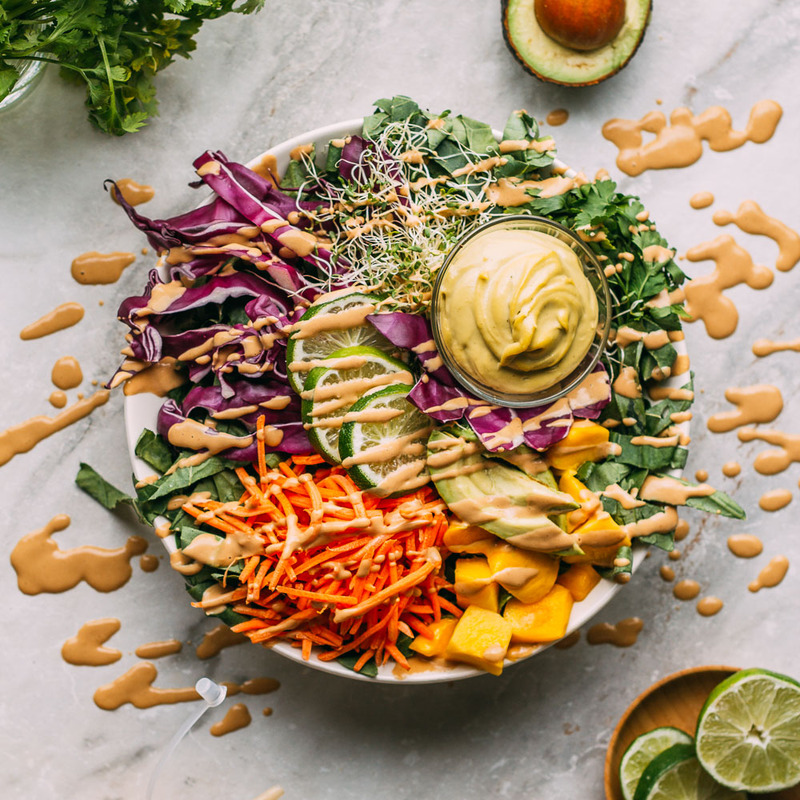 If you would like to bring down the fat and calorie count in this recipe, replace the store-bought mayo with a batch of my Raw Oil-Free Cashew Mayonnaise! 1/2 cup plain almond milk yogurt - I like Kite brand, a lot! Begin by pressing the liquid out of your tofu ahead of time to save time during dinner prep! Pressing the tofu typically takes from 10 to 20 minutes or so. If you like, you can press the tofu the night before, wrap it in a clean towel and keep it in the fridge overnight. That way, its ready to go at dinnertime! Next mix the following ingredients to make a saucy curry paste: mayo, yogurt, curry powder, turmeric, garlic powder and Bragg's Liquid Aminos, salt & pepper. Stir until well combined and taste to adjust the seasonings to your liking. Now crumble in the pressed tofu and stir being sure to cover each bite in the lovely golden curry paste. Now toss in the red onion, celery, parsley, and cilantro and stir to combine. Taste and add a squeeze of lemon juice according to your preference. Serve on a bed of cardamom seasoned rice and topped with a scoop of previously frozen, thawed green peas. 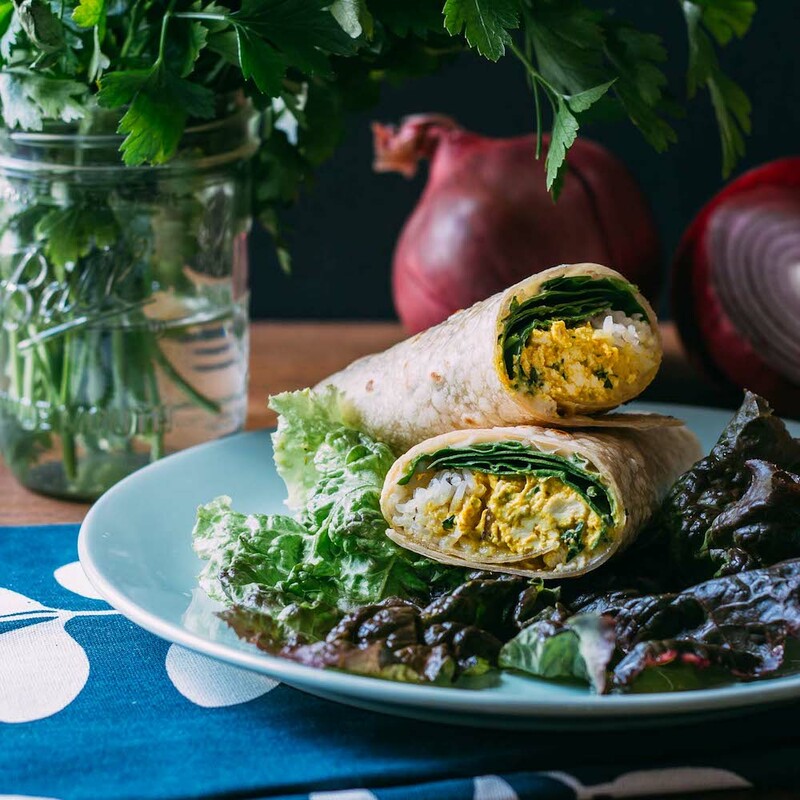 You can also enjoy this as an exotic sandwich spread or rolled in a delicious wrap of your choice. 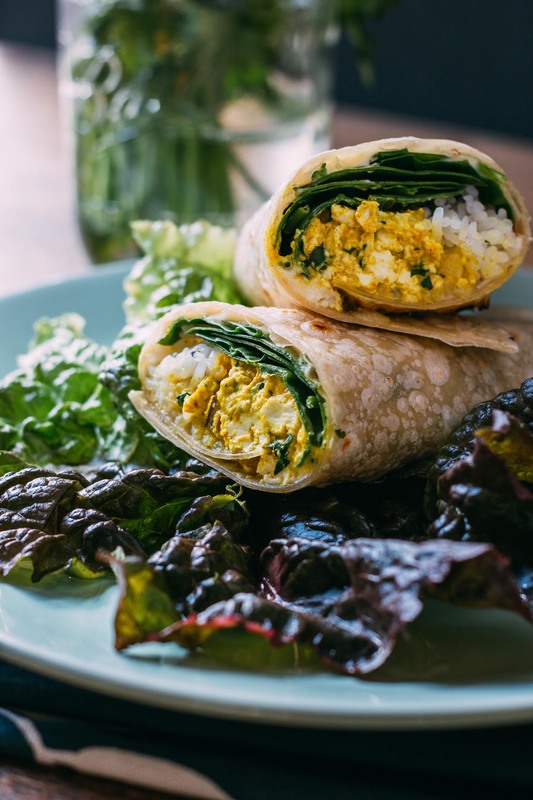 We like it nestled inside a rice wrap along with some fresh spinach and a scoop of rice or quinoa. If you'd like to opt out of using the yogurt in this recipe you can replace the yogurt with another half cup of mayo without worry - it will still taste terrific! In place of the Bragg's Liquid Aminos, feel free to use Tamari, a gluten-free soy sauce, or regular soy sauce, if you aren't avoiding gluten. The orange colored curry powder link provided in the ingredients list has been updated to share my FAVORITE curry powder brand so far. The link offers three jars at the most competitive pricing I could find. I like to buy in bulk to save on ingredients I use often. I also buy three jars at a time of the same brand for turmeric. The nutritional info below reflects using store-bought vegan mayo since I've only recently updated this recipe to include a link to my original recipe for Raw Oil-Free Cashew Mayonnaise. Tofu is incredibly versatile, so I’m glad you’re giving it a try, Eileen! 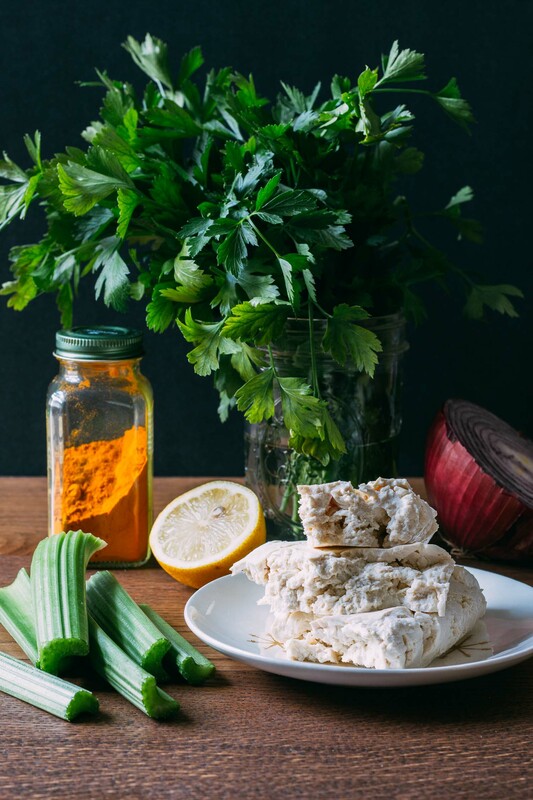 One of my other favorite recipes calling for tofu is our fuss-free-no-cook tofu feta… it’s ready in minutes. The longer you let it stand in the marinade, the tangier it becomes… I enjoy it immediately, even as I’m making it it’s hard to stop ‘sampling.’ Another excellent tofu dish in the blueberry kale salad. Oh, my, as you can see, I have learned to enjoy tofu! I sure hope some of these recipes hit home with you. Having satisfying, nutritious, options when meal planning is so helpful.